Hop on a high-speed ferryboat and be in Cozumel in about an hour! The island is a popular day trip for travelers on the Riviera Maya, and it’s easy to get here by ferry. Learn how you can take advantage of the convenient ferry service to explore one of the most beautiful islands in the Caribbean. Three companies offer service from Playa del Carmen’s to Cozumel from Calle 1 Sur, where can buy tickets at the ticket booths. Prices and schedules subject to change – check each company’s website for specific information (and to purchase your tickets in advance). Ultramar – Ferries run on the hour, every hour from 7:00 a.m. to 11:00 p.m. One-way fare for adults is 200 pesos, or 130 for children 6-11 years. Mexico Winjet – Ferries run on the hour, every hour from 8:00 a.m. to 11:00 p.m. One-way fare for adults is 162 pesos, or 96 for children 6-11 years. 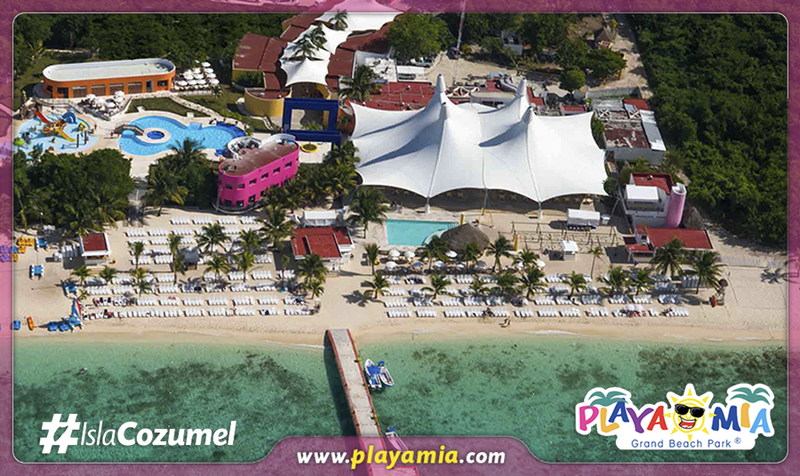 Once you get to Cozumel, head to Playa Mia for an unforgettable day of fun in the sun. We offer cool tours, 20 free attractions, and unique add-ons for the vacation of a lifetime. Contact us now to book your beach day and for more Cozumel travel information.